Our professional staff includes Chartered Professional Accountants, Certified Public Accountants, CPA students, technicians and bookkeepers. We have been in the public accounting profession for over 30 years and gained a wide knowledge of businesses, and not for profit organizations. 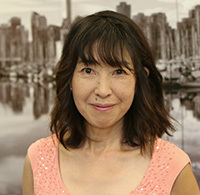 Shiho joined Buckley Dodds LLP as a staff accountant in 2009. She assists our clients with accounting and taxation services. Besides accounting, her experience includes working in the tourism and hospitality industry, NPOs and marketing and advertising firms. In her time away from the office, she enjoys spending time with her family & friends, cooking, playing music, hiking and gardening. Edward Wong joined Buckley Dodds in 2017 as a staff accountant. He graduated from the UBC Allard School of Law with a JD in 2015, and completed the UBC Diploma in Accounting Program in 2017. As an enrolled CPA student, he assists with accounting, tax services, assurance engagements and financial projections. While away from the office he enjoys camping, travelling and playing ultimate frisbee. Khaza has been with us since February 2018. He holds an MBA in Accounting from University of Chittagong in Bangladesh and completed his CPA pre-requisite classes from University of British Columbia. Prior to joining our team as a Staff Accountant, Khaza worked in industry and education. Mila joined Buckley Dodds LLP in the Fall of 2018. Prior to joining Buckley Dodds LLP, Mila’s experience comes from working in Fashion Merchandising and sale for 6 years. Here, as the Office Administrator, She is the first contact with clients when they call or visit the office. In her spare time, she enjoys being active, spending time with friends and family and traveling. Eric joined Buckley Dodds LLP at the beginning of 2019. He graduated from Simon Fraser University with a Bachelor’s of Business Administration with a specialization in Accounting in 2018. Prior to joining our team as a staff accountant, Eric has worked as a co-op student in a CPA firm based in Richmond. In his spare time, he enjoys spending time with friends and family, playing badminton and travelling. Trevor started at Buckley Dodds LLP in January, 2019. He is currently enrolled in the CPA program and working towards his practical experience requirements. Previously, he worked for 2.5 years in the accounting department at a television production company. Trevor graduated from the University of British Columbia with a Bachelor of Science degree. He spends his spare time training Brazilian jiu-jitsu and playing board games with friends. Gurvinder joined Buckley Dodds LLP as a staff accountant in January 2018. He obtained a Bachelor’s of Science degree from Simon Fraser University majoring in Molecular Biology and Biochemistry. He then continued his education at University of British Columbia obtaining a Diploma in Accounting. In his time away from the office he likes to travel and spend time with his family.